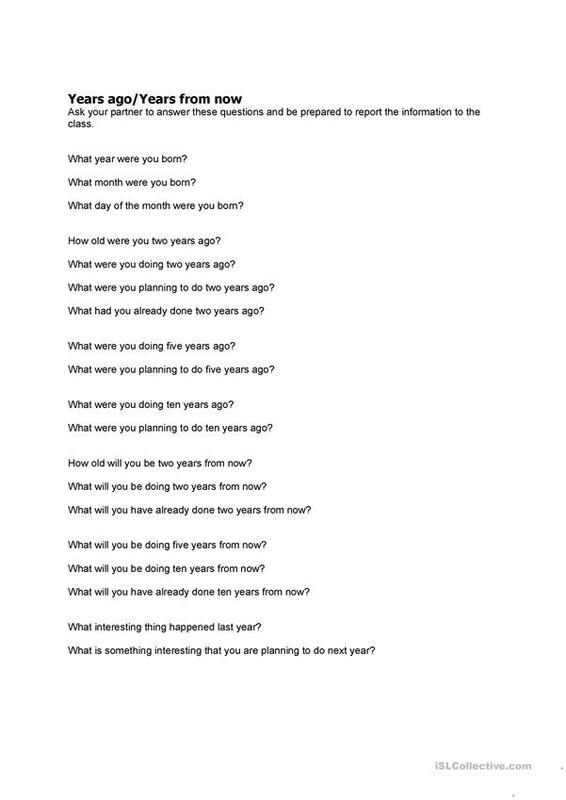 A discussion worksheet for students to practice using ago and from now. The present downloadable printable is recommended for adults at Pre-intermediate (A2) level. It is aimed at consolidating Adverbs in English, and can be used for strengthening your pupils' Speaking skills. It is focused on the topic and words of Time.